It feels like a large number of stars who have made it to 90 are passing away en masse this year. Their ages make their departures perhaps not so surprising, but no less sad. 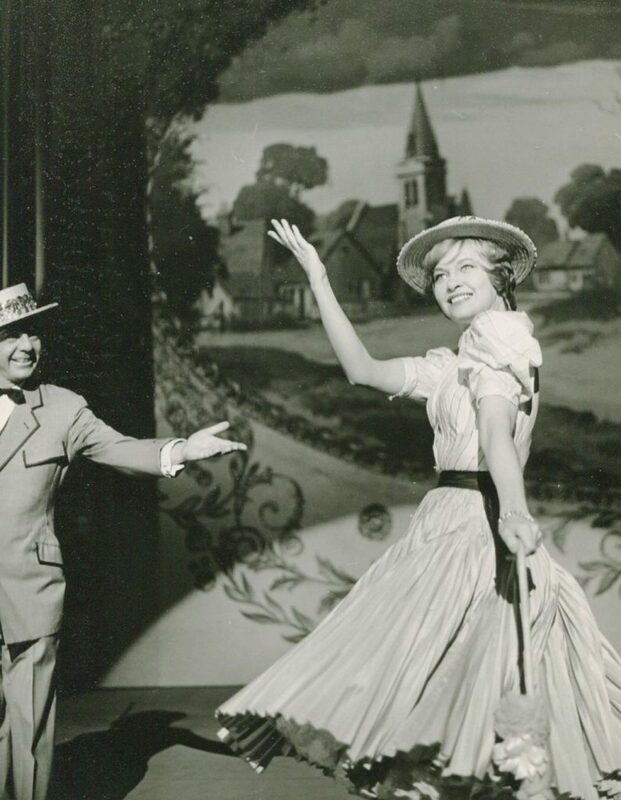 Georgann Johnson, a prolific actress on the stage, on TV, and in film died June 4 in L.A. Her daughter confirmed the passing to THR. Johnson, whose patrician looks and biting delivery served her well in juicy character roles and as TV moms as she aged, got her start in early-TV anthology dramas, including on Goodyear Playhouse (1952), The Philco-Goodyear Television Playhouse (1952), Campbell Summer Soundstage (1953 & 1954), and The United States Steel Hour (1956), working alongside luminaries like James Dean (1931-1955) and Paul Newman (1925-2008). Some of the many classic TV series on which she appeared included Mister Peepers (1952-1953; recurring role); The Millionaire (1957); Alfred Hitchcock Presents (1956 & 1957); The Defenders (1964); Dallas (1979); Quincy, M.E. (1982); The Jeffersons (1983); and Star Trek: The Next Generation (1989) — to name a few. She was the mother of Jane Seymour's (b. 1951) title character on Dr. Quinn, Medicine Woman (1993-1997), of Sharon Gless's (b. 1943) character on The Trials of Rosie O'Neill (1990-1992) and of John Ritter's (1948-2003) Jack Tripper on Three's Company (1982), and she was the boss's wife in an opera box on "The Beard", the 1995 episode of Seinfeld in which Elaine (Julia Louis-Dreyfus, b.1961) seduces a gay friend (Robert Mailhouse, b. 1962) — but it didn't "take." In 1983, she was part of the all-star cast of the made-for-TV suspense film The Day After. 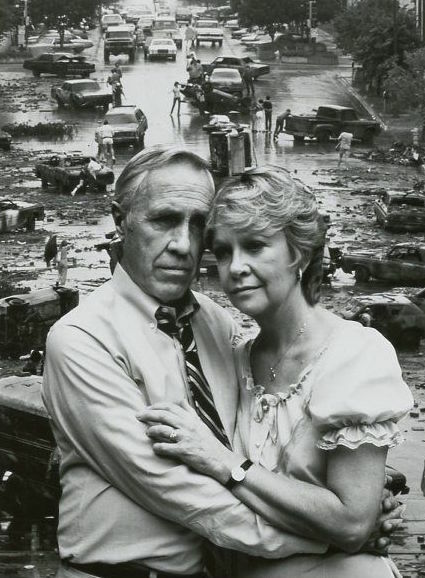 Seen here with Jason Robards (1922-2000). A songwriter, she appeared on the live TV musical The Bachelor, introducing the now-famous "This Could Be the Start of Something Big" (1956). Among her less frequent film appearances: her debut, Short Cut to Hell (1957), directed by James Cagney (1899-1986); Best Picture Oscar winner Midnight Cowboy (1969); From the Mixed-Up Files of Mrs. Basil E. Frankweiler (1973); HealtH (1980); Looker (1981); Shoot the Moon (1982); The Slugger's Wife (1985); Murphy's Romance (1985); and Father Hood (1993). Johnson had retired from acting years before her death, performing only intermittently during the 2000s, with her final TV role coming on a 2007 episode of Cold Case. She was married to the actor/director Stanley Prager (1917-1972) and actor-turned-Los Angeles Superior Court Judge Jack Tenner (1920-2008). She is survived by her four daughters with Prager and three grandchildren.